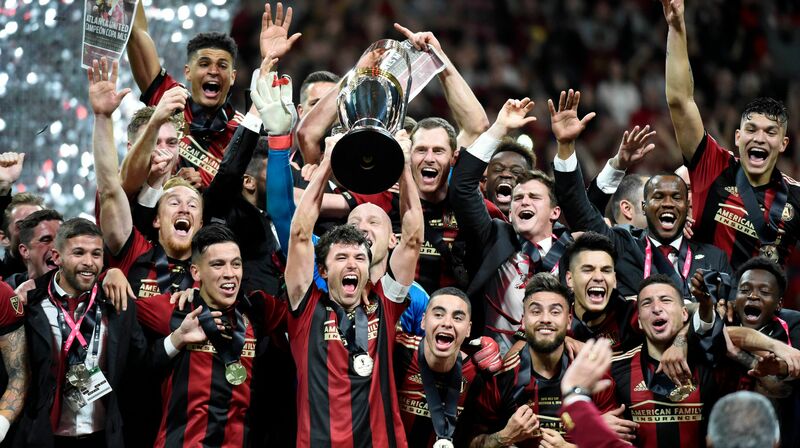 Since their 2017 entry Atlanta United have taken the MLS by storm with bumper crowds and a successful assault on the league title last year, but they got the new season underway on a sour note in Washington as goals from Paul Arriola and Luciano Acosta sinked De Boer’s team. The Dutchman is embarking on a new adventure in the US and his team are favourites to retain their title in 2019 as the league tweaked its format yet again. The regular season of 34 games per franchise will be packed into a calendar that’s three weeks shorter and the play-offs have also been modified: seven teams from each conference, instead of six, will compete and all match ups will be single games. The league will take a break in June as the United States hosts the Gold Cup, the regional’s flagship international tournament. FC Cincinnati are the latest and 24th franchise to enter the MLS. They have been the ninth franchise since 2009 and Seattle Sounders to join the league – they lost to Seattle 4-0. A Beckham-led Miami, Nashville and Austin have their sights set on MLS as well, alongside Sacramento and Saint Louis. The league is slowly expanding towards a 28-team format. Cincinnati will play at the Nippert Stadium, a football facility on the University of Cincinnati campus, until they open a West End venue accommodating at least 25,000 fans in 2021.